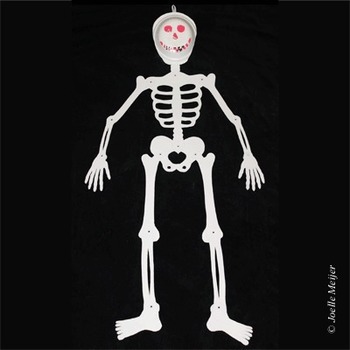 Science through Visual Arts: Learn about the bones of the body by making this almost-life-size skeleton. Of course, this can also be used for Halloween. 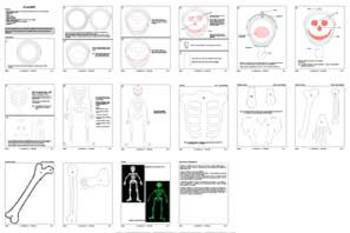 The 16-page document contains all the patterns you need to make a skeleton that is about 36 in (90 cm) high. Paper bowls are used for a more realistic skull, but you could make a flat skull if you don't have any bowls.